While in southern Minnesota in early September 2013 I was asked when a farmer should plow his cover crop field this fall because he needs the fields to be “black” this winter in preparation for next spring. I shuddered. There I was in a beautiful field of cover crops that are jump-starting some biology on a “biologically dead” field and the farmer wants to kill his biology driving mechanism. UG! The main reason he wanted to till the field was to have warmer soils in the spring where he had black soil. I shared that our research sowed much different results. His thought process sound right but has proven to be a myth, not a fact. I told the farmer to leave the cover crops in all winter and use conservation tillage next spring. (He’s not a no-tiller.) We dug some shallow root pits for a field day and we found many problems that I believe can be somewhat rectified if the cover crops are left in all winter. 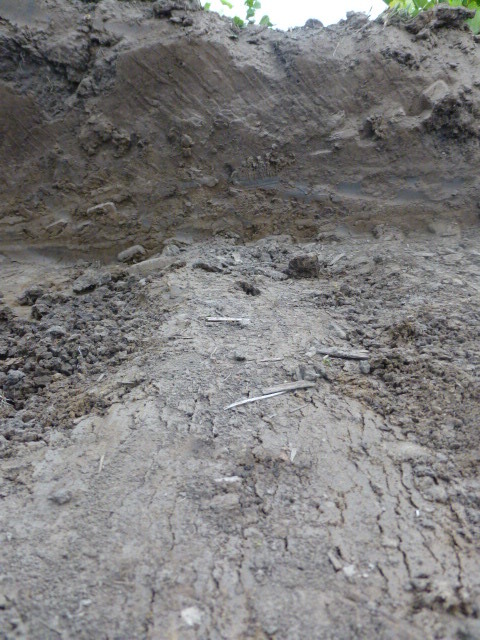 Severe compaction– many areas had compaction starting at 2-3″ deep. Part of that was from spring tillage of wet soils…but the compaction was about 8″ thick as the soil was coming up in blocks the size of cinder blocks! Lack of soil biology – I know this because we found a significant amount of corn fodder 2 foot deep that was not even breaking down. It would have been buried with the deep ripper 18 months ago. I could not believe my eyes! 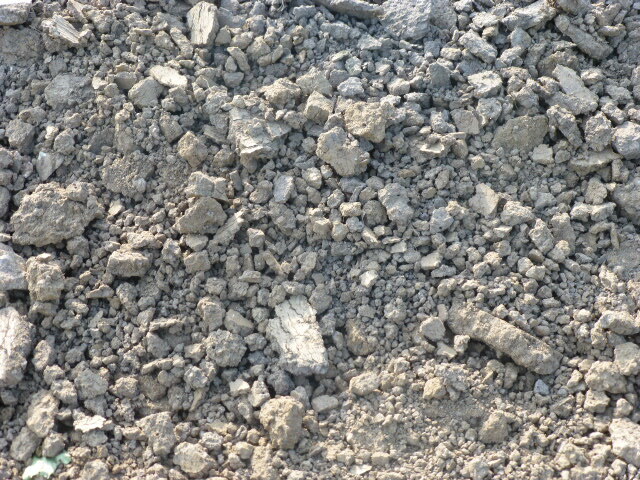 Lack of aeration in the soil – the soil was literally rock hard. We did find a few earthworm channels but it was so dry that worms were small and deep. 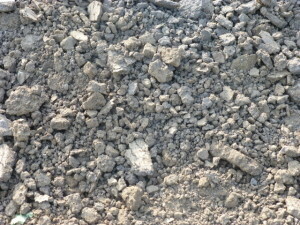 Low organic matter – I’m not sure how low it was but there was very little soil structure. I talked with a regional NRCS employee and the local SWCD specialist and both men lamented that many of the soils in that region were “about as bad as this one”. We found corn fodder two feet deep that had not yet decompose after over 18 months. I need to be fair. The farmer currently renting this field has only farmed it a few years and he is making major strides to improve this farm. But he has lots to accomplish before he has a healthy field. Having cover crops are a great first step and he knows it. Tile – LOTS and LOTS of tile has been installed in prevent plant acres this year. Farmers know they need aeration and percolation in their “tight” soils. The regional specialist from NRCS lamented that many farmers don’t believe that cover crops are a solution to make their soils better long term. Tile is not bad; but tile and cover crops are a much better solution. Deep ripping – this will get air into the soil and break up compaction, but will it build soil health? No, it will not (note the corn fodder found 2 foot deep in a root pit). 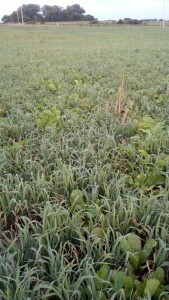 Let cover crops naturally deep rip the soil. Tillage- and lots of it – many fields in the area had been tilled (disked, field cultivated, etc…) four times already to control weeds…Unfortunately it also reduces organic matter and soil structure and soil health. 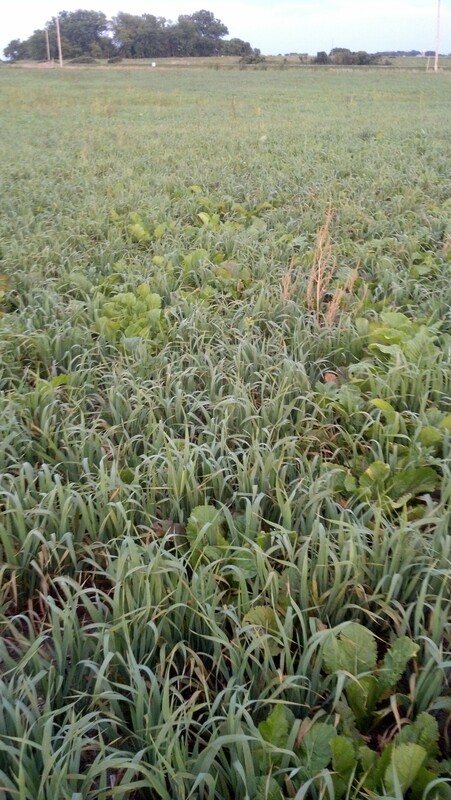 So what should happen with the cover crops heading into winter? 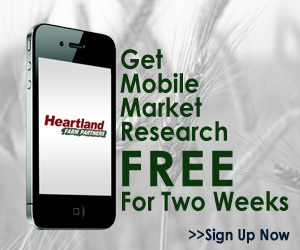 Sarah Carlson from Practical Farmers of Iowa recently wrote an article about this topic and you can find it here Prevent Plant, Cover Crops, Now What 2013. Let the cover crops keep putting down deep roots – we found roots of crimson clover, radishes, cereal rye, annual ryegrass, oats, and Pasja all around 24″ deep. Let them keep growing deeper to open up the soil to get air and moisture deeply into the soil profile. This 5 week old PileDriver Radish shows the compaction zone starts at around 2-3″ seep. 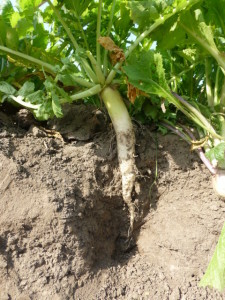 Roots on this radish went over 24″ deep despite very dry conditions. I think we find similar mind sets in NW Indiana. Keep up the good work of show and tell and preaching from the pit.